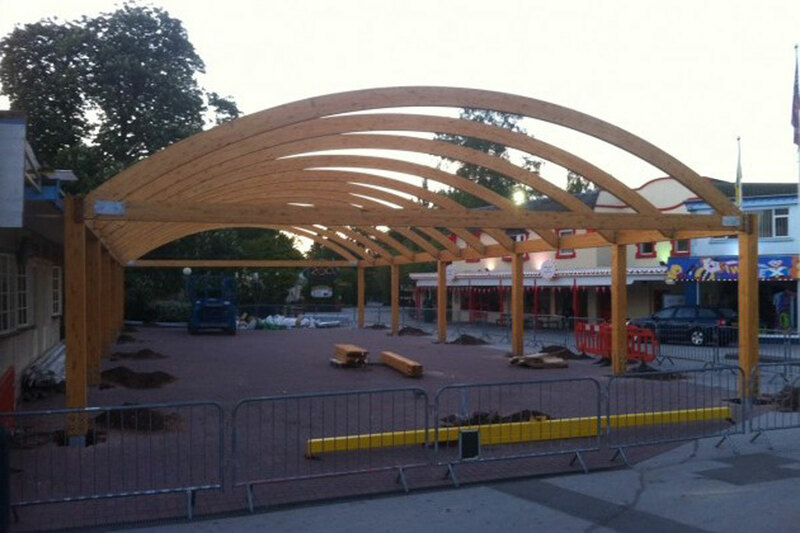 Drayton Manor Theme Park’s popular pie and tea shop Humble Pies was transformed literally overnight this week when Fordingbridge craned a 26m x 11.5m structural timber canopy on to site between midnight and 4am! Fordingbridge had to devise a plan of speedy action to keep the disruption to the shop, located in the heart of the park near to the entrance to the zoo, to a minimum. 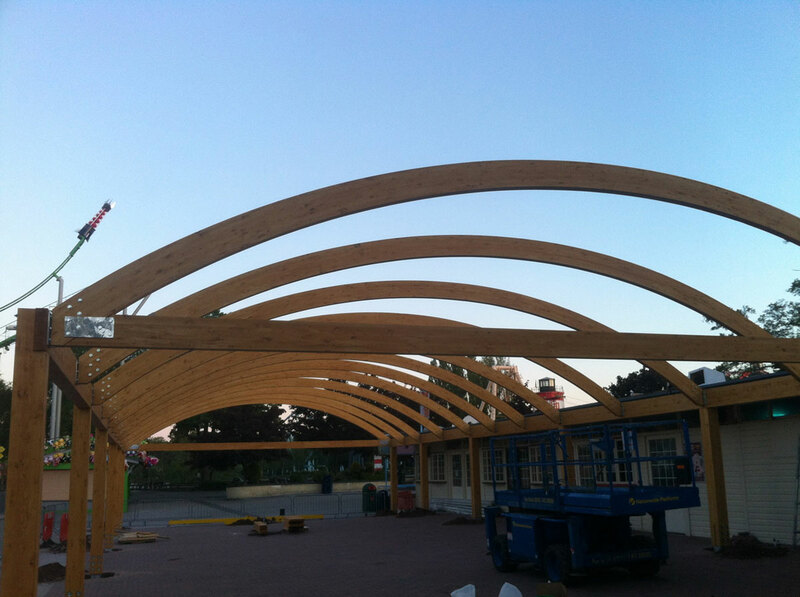 Thanks to the fast work of our construction team, the canopy which will feature a fire-retardant Opal 60 fabric roof, will soon be complete so watch this space! 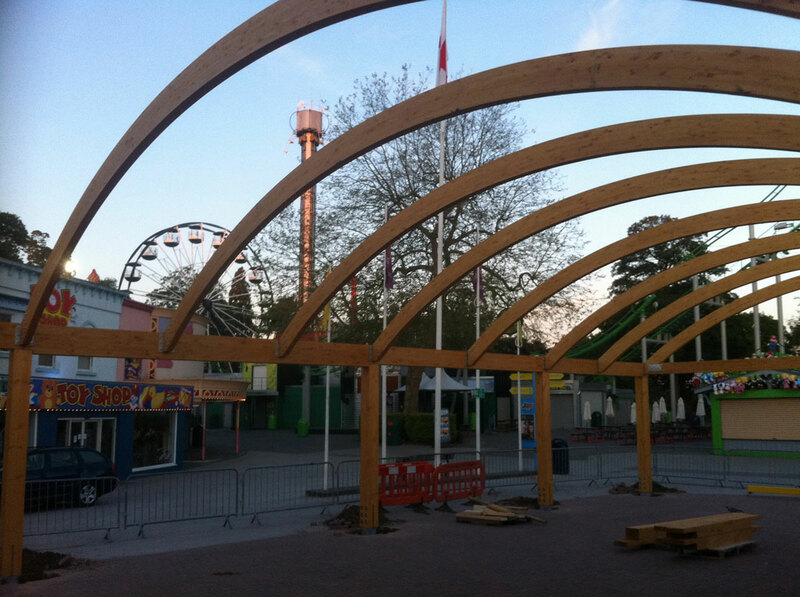 The following photos show the canopy’s stages of construction.